Tereza Thomas fled her North Stockton home on Monday, Feb. 4. 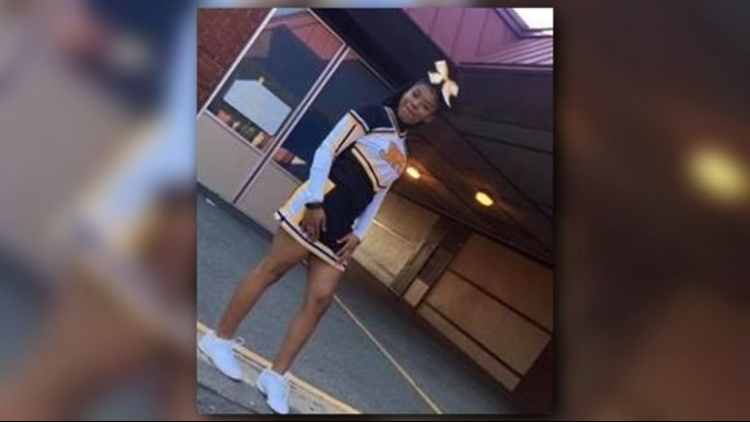 STOCKTON, Calif. — Stockton Police are asking the public's help in finding 13-year-old Tereza Thomas. Thomas fled her North Stockton home on Monday, Feb. 4. Police are calling the teen "at-risk" due to the fact that this is the first time she has gone missing and that she is so young. She is believed to be on her way to Modesto or Sacramento with unknown friends, according to police. On Feb. 4, 2019, Tereza fled from her North Stockton home. Police believe she is at-risk due to being a first time missing juvenile and for her young age. She is possibly on her way to Modesto or Sacramento with unknown friends. Thomas is 5 feet, 4 inches tall and 125 pounds. She has black hair and brown eyes and was last seen wearing a gray sweatshirt, gray pants and white shoes. Anyone with information is asked to contact the Stockton Police Department at 209-937-7911.